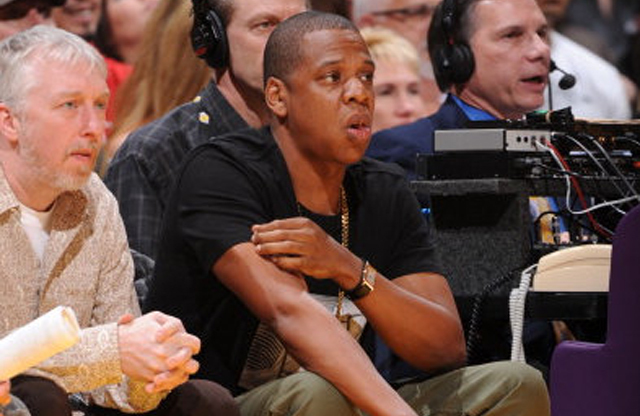 Jay Z Splits with Yet Another Business Partner? It doesn’t look like JayZ is having the best month ever. Doesnt it seem like he has been in the news for one drama or another. I mean like common, does he still rap? These days, the focus seems to be less on his music and more on who he is or is’nt getting along with. Days after his former business Partner Damon Dash dished on his fight with Solange, it looks like JayZ is yet another business partner down. NY Daily News is reported that JayZ and his longtime business partner John Meneilly have parted ways. Meneilly was that wing man for JayZ who was busy securing deals like the huge “Magna Carta Holy Grial – Samsung deal last year. We all remember how awesome that was selling out in just one day. He was also instrumental to helping navigate the rise of the Rocawear clothing line which JayZ sold for $200 million in 2007.That is not all, he was also JayZ’s right hand man where the Roc Nation brand was concerned. So yes, he has been very instrumental to Jay Z’s success, so one would wonder why fix something that isn’t broken. Some sources close to the pair claim that Jay Z fired John and he did not want to leave the job while others claim it was a mutual agreement that was made a couple of months ago. Whatever the case is, I hope they both find a positive way forward. Hey Jay Z, if you need a new partner, I am a great closer. haha!